Fall is my favorite season, but it wasn’t always so. As a child, fall meant an end to summer freedom and a return to order, structure, and wearing shoes. But now that I am older ( and I hope a bit wiser) I truly relish this special time of year. I savor each day with an intensity I find difficult at other times of the year. I try to live with a “Carpe Diem” attitude each day all year, but it’s hard. Sometimes the summer seems to stretch out endlessly before me. I put off that trip to the beach or camping trip. Holidays quickly become rushed and I feel like a giant countdown clock ticks inside my head. I confess, that feel myself grow impatient at times waiting on spring. But Fall I can savor. Each warm sunny day a gift before winter’s cold. Each cool night a refreshing change from summer’s intense humidity and bug battle. The visual announcement of first changing of leaves are joyfully spotted. 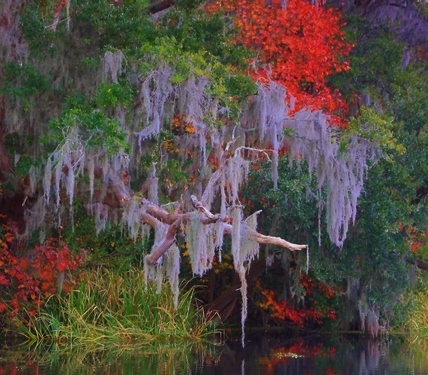 The bright fall colors are offset by the blue of the marsh. The last family picnic at the beach is enjoyed with wet feet. The first fire of the season seems extra magical. Opening up the stored cashmere, boots, and scarves is like unearthing familiar treasures. 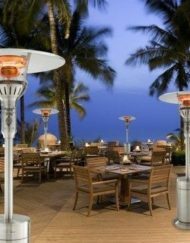 The dinner menu changes over to offer comforting flavors and regains a heartiness. The pure fun of pumpkin or apple picking farms and fresh cider. My favorite fall flavors in a glass, thanks Fabtastic Eats. 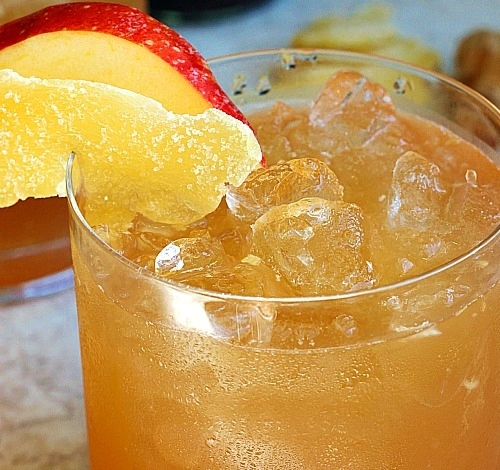 Here are a couple links for some apple cider drinks I’ve been enjoying this fall. They come from a great food blog I enjoy , Fabtastic Eats. Aliana is a Mom and a girl after my own heart in her simple yet delicious take on family foods. The Apple Cider Margarita was a fast favorite at my house after our Apple Picking and fresh cider weekend. The Apple Ginger Smash recalls some of the flovers of my favorite bundt cake. Great for making a large batch and entertaining. I really like it in the non-alcohol version with sparkling water for myself and the kids in the afternoon. Here’s another great resource for mail order of in person shopping we enjoy, Carolina Cider Company. Their Peach or Apple Cinnamon Cider work really well in this recipe as well. 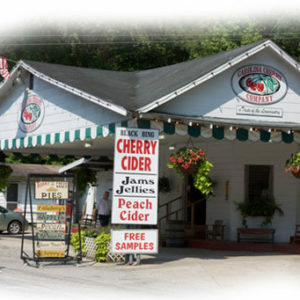 Old fashioned family store near Charleston, SC specializes in hand made ciders. Slow Down and enjoy the fleeting pleasures of fall. When I was a little girl my Mom didn’t bake much. Usually cookies at Christmas and a cake or two in the fall. Perhaps that is why this taste memory is so strong in my mind. 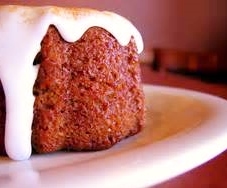 Her Pumpkin Bundt cake would appear with the arrival of cooler weather. The house filled with the scent of warm spices and pumpkin. As I recall she often put cooked apples in her cake, which used to cause the cake to often fall apart when cut. I’ve altered mine a little. Omitting the apples and upping the spice with the addition of ginger in two forms. She often just dusted hers with a little powdered sugar from a sifter. I do that sometimes. Sometimes I omit any decoartion on top. I too, rarely bake. So in our home this cake is more often eaten for breakfast or an afternoon snack than as dessert. The opportunity just comes sooner. Somehow no frosting seems more appropriate. But if I’m serving this for dessert or giving it away, I glaze it with a simple confectioners sugar glaze and sprinkle it with crystalized ginger. I hope one day years from now, my little girl remembers this pretty cake on our island and recreates it for her family. Remembering our colorful fall walks and talks together which sometimes ended in a big slice of Pumpkin Cake or a glass of fresh apple cider. I hope you find time to savor this season. 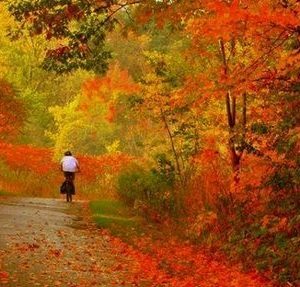 Go for long walks and soak up the colors and scents of the season. 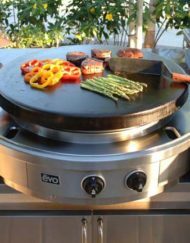 Don’t pack away your patio cushions and grill. Enjoy the early dark to star gaze together under less humid skies. Grill up some savory fall meals. Fire up the firepit. Roast a s’more together by firelight. Resist the rush into Holiday season evident all around you. The constant urging to purchase and plan. 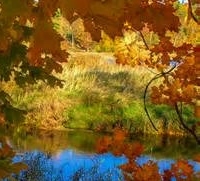 Instead, may I recommend you simply enjoy the fall in it’s own right and not as a prelude to winter holidays. For it is fleeting and temperamental by nature. You never know exactly how long it will last. . Flavor memories are created when you bite into this spicy fall cake..
Preheat oven to 350 degrees F. Spray a 9″ fluted tube pan with oil or butter then dust it lightly with flour and invert to tap out excess flour. I do mine over sink. Sift together flour, baking soda, salt and spices. Stir in chopped pecans, raisins, and ginger. Set aside. Place the butter and shortening and lemon zest in large bowl of an electric mixer fitted with the beaters or paddle attachment. 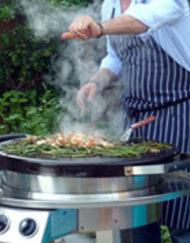 Beat over medium-high speed until creamy and smooth, about 2 minutes. Add the granulated sugar, 1 tablespoon at a time, taking 3 to 4 minutes to blend it in well. Add the light brown sugar and vanilla gradually. Add the eggs, one at a time until well blended. Reduce speed to medium-low. Slowly pour or spoon batter into the prepared pan and smooth the top. Tap on counter a couple of times to remove air bubbles and settle cake. Center the pan on the rack and bake in the preheated oven for 40 minutes or until the cake begins to leave the sides of the pan and a toothpick inserted into the center comes out clean. Remove from oven. Place the pan on a cake rack to set for 10 to 15 minutes, then invert the cake and remove pan. While the cake is still warm you may want to pour a simple sugar glaze over the top, letting it drip naturally down the sides. (If you plan to call this breakfast you may want to omit the glaze.) Garnish the top with chopped pecans or crystalized ginger if you like. Also good made as small loaves for gifting or muffins, but alter bake times accordingly. May omit raisins and nuts if equally delicious less textured cake is desired. 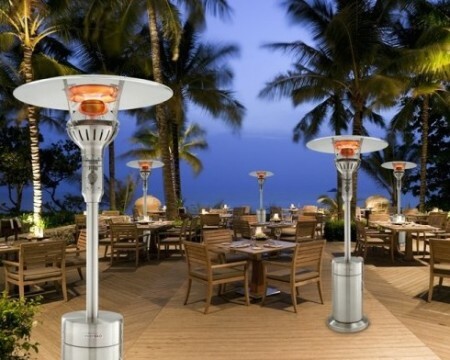 Let the Evenglo radiant patio heater enable you to enjoy being outside longer this season. 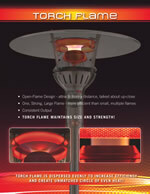 We do have some greatpa EvenGlo tio heaters on sale to help you stay outside and be comfortable. They are safer, more efficient, more effective and just plain better looking and well made than the cheap ones you’ll find elsewhere. As fitting with our philosophy, simply the best available. As for me, you will find me reading on my back patio. Cozily reading with a slice of cake or an apple cocktail. Enjoying these cool fall evenings under the fiery glow of mine. Relishing the season. Fall: My Favorite Season. Here’s a little of what makes the Evenglo better. Available on sale now at our webpage.